When it comes to Fashion weeks i have a set of favorite designers i always look forward to but i also skim through collection from other designers to see if anything interesting is being present and that is how i found Rabani and Rakha at Amazon India Fashion week . There is a reason i love Anushree Reddy and her dreamy florals and net lehengas , they are just so dreamy and princessy. The collection presented by Rabani and Rakha at AIFW was something similar with a lot of glitter, lace, tulle and fringes! Pearl beaded sheer for spring summer. 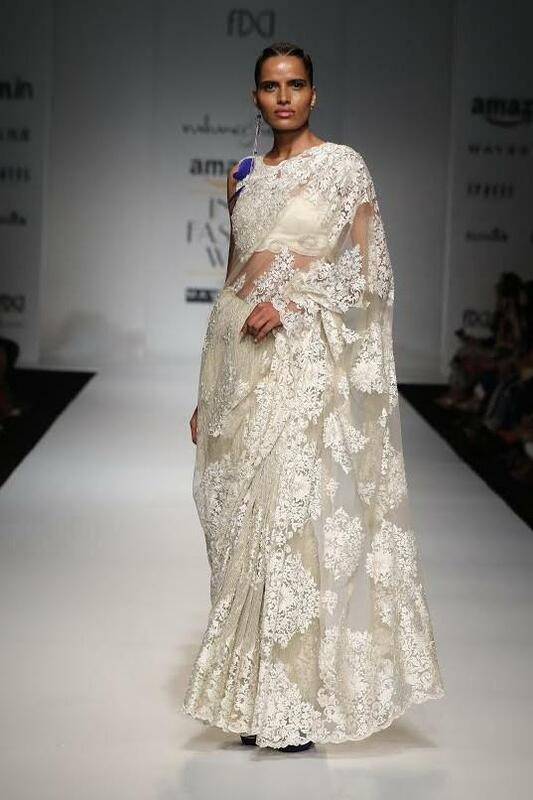 Love this sheer and elegant creamy white half saree with mermaid flare skirt and sheer brocade border. 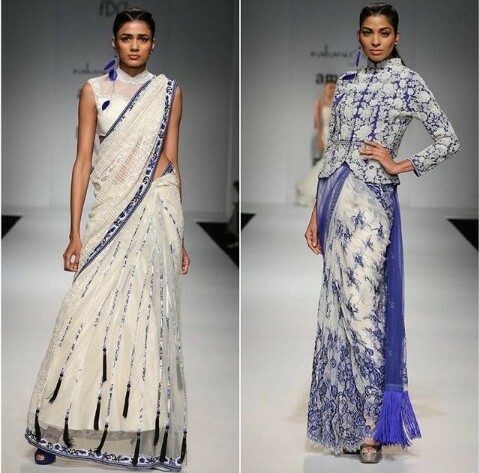 Fringe is the hot new trend and Rabani and Rakha put fringe in a textured saree and style it with a touch of purple. These 3D butterflies are just so dreamy. 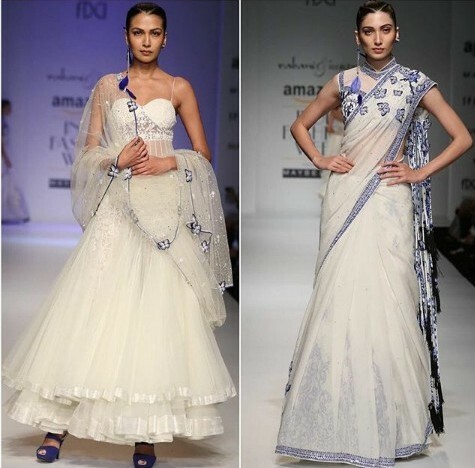 Especially loving the sheer net dupatta with butterflies on borders and flared lehenga . Super love it. 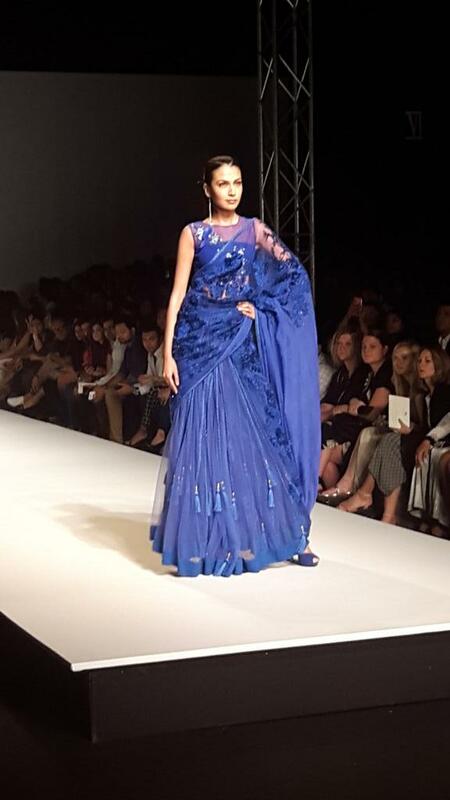 This electric blue half saree had tassles peek out. Fun and flirty. 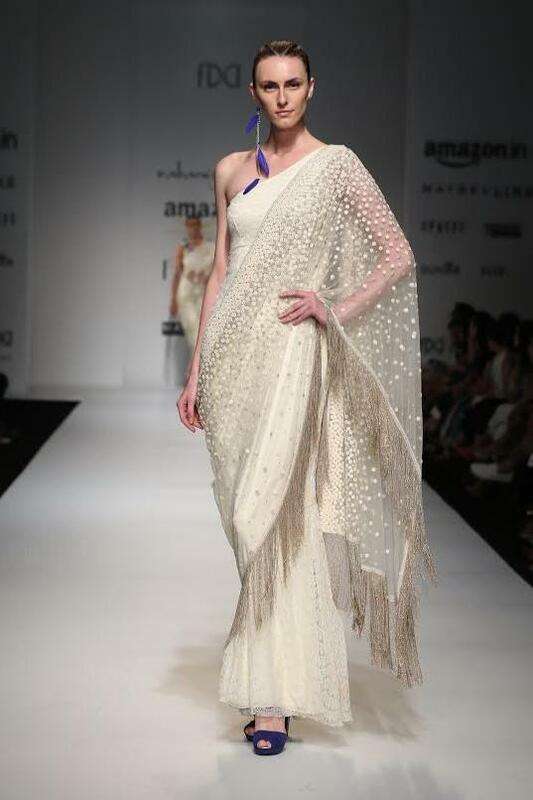 Did you like the Rabani and Rakha Collection woven in tassles , pearls and fringes at Amazon India fashion week? We at Blingsparkle sure loved it!